Karen Elizabeth Donovan – A recent recipient of her Master of Fine Arts Degree with Distinction from Edinburgh College of Art, Karen is inspired by the beauty of nature and the fragile nature of life. Her sterling silver pendant captures the simple beauty and peace of a galgo receiving and filling with dandelion seeds and wishes. Company Story – Working mainly in titanium she takes inspiration from her immediate environment, inspired by natural Scotland and exhibitions she visits. Karen is the recipient of many awards including The Gold and Silver Wyre Drawers Award, Goldsmiths’ Craftsmanship & Design Council, 2015; Commendation, Precious Jewelry – Gold, Goldsmiths’ Craftsmanship & Design Council, 2015 and the New Designers Goldsmiths’ Company Jewelry Award, June 2014. To learn more about Karen, visit her website at www.karenelizabethdonovan.com. 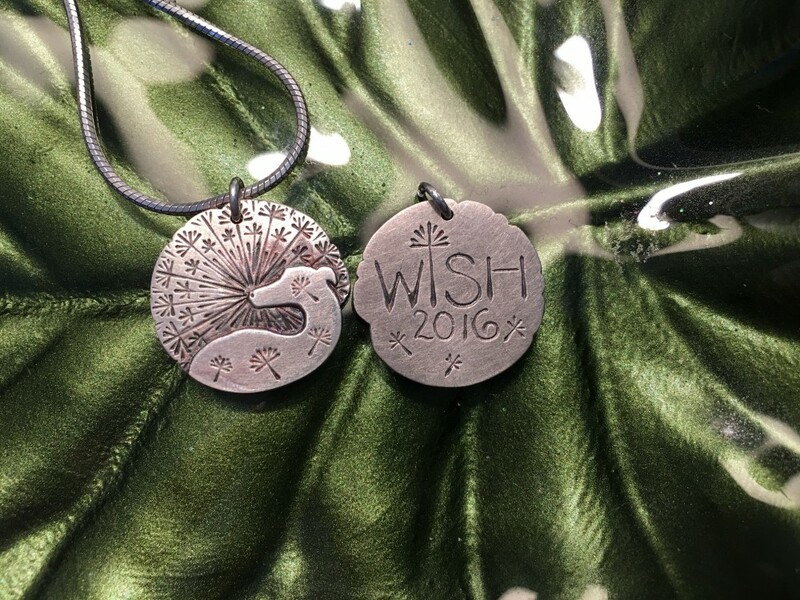 Product Story – Karen’s pendant is an integral part of the As Galgos Wish Collection. As galgos wish, committed rescuers and volunteers around the world work tirelessly to find homes for the nearly 100,000 galgos abandoned each year as a result of the hunting season in Spain. Often, these sweet, funny, athletic dogs are left on the streets, sick & beaten with no source of food or shelter. The As Galgos Wish collection brings together a unique community of designers, artists, crafters and makers to create amazing products that illustrate the hopes, dreams and wishes of the galgo so that they may find peace. By purchasing a product from the As Galgos Wish collection, you are showing your support, building awareness of the galgo and making those wishes come true. In addition, you are supporting talented artists and entrepreneurs with a passion for doing good in the world. Proceeds from the sale of these products goes directly to Save A Galgo Espanol, a 501c3 registered nonprofit.